Nothing shows off a cars chrome like black paint. 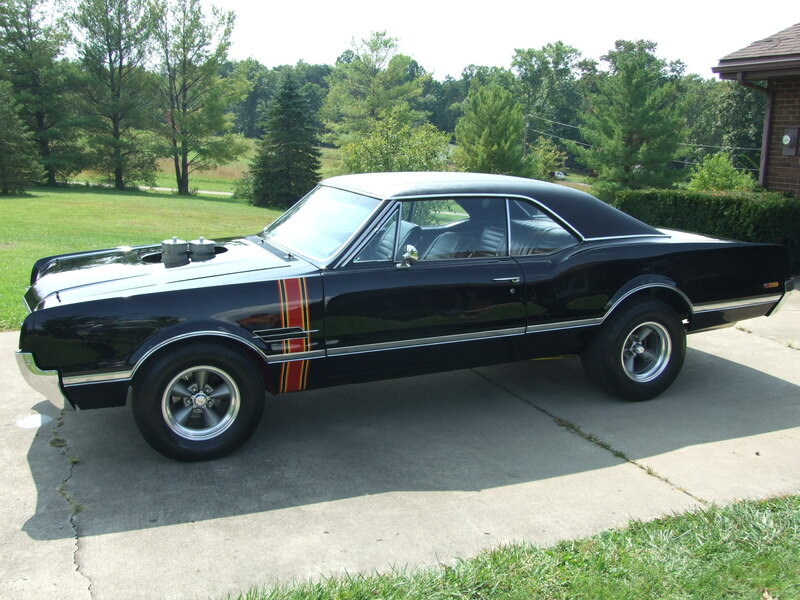 There are a lot fewer 442s around then a lot of the other muscle cars. So if you want something unique and different that everyone else doesn’t have, this car is a consideration. 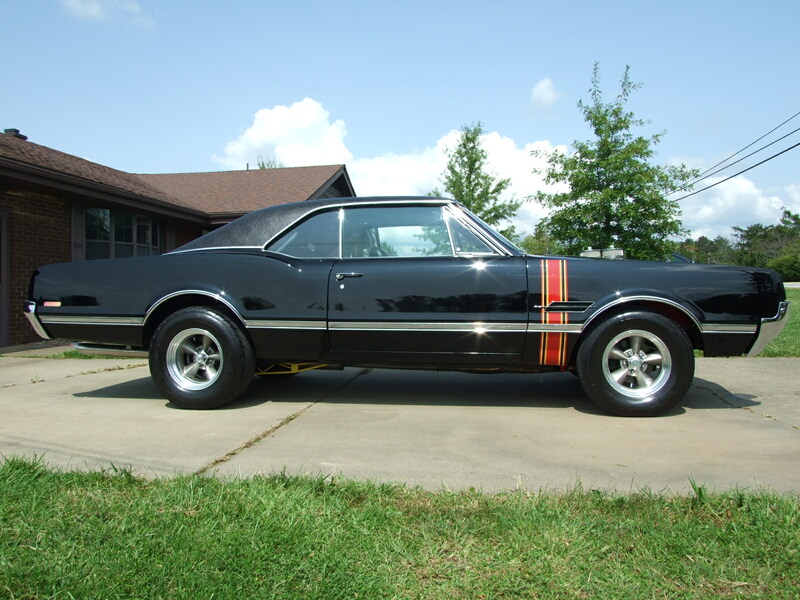 Or if you want to show up at the “Cruise In”, but don’t want to just show up in another 60’s or 70’s muscle car like everybody else with 300 or 400 H.P. and, want to show up with the baddest monster of any of them around this is again a car to consider. It is truly a real beast! The owner had a 66 442 when he was in high school and always wanted another one, except he wanted it to be something way wilder. So he bought this car in 1999, and started with a car that was more stock with a good body. They did this car right! They sand blasted it down and confirmed that there where only a couple spots that needed looked at, and repaired. (Mostly in the fender and doors) The build was originally completed, and than several years later he went back, and had the engine gone through and modified to a higher degree of power and some other tweaks that he felt were necessary. He has enjoyed it but it is time for a new home. Often people build the engine for big power but don’t upgrade the drive train that should go with that kind of power. The plan was from front to back, from side to side build to handle that kind of power. It did require some tweaking at some point, which a lot of people build a car and wont do anything with it afterwords. If you use them you learn there are somethings that need to be tweaked out. Locally known as “Blackie”. Buyer are required- To do their own research to verify the researched codes above are correct. No information was found to verify it was born with 442 option. * Without a question the paint was very professionally done, and it is very close to flawless. * Owner indicated it was a base coat- clear coat with at least 6 coats of clear. * I was not able to find any chips, nicks, or scratches on the car, and I have looked hard. Thought I would certainly guess there has to be one someplace, I was not able to find it. * It is extremely smooth and polished to a very shiny high gloss, and appears to match all the way around. * The paint is from the original restoration which was started in 1999, and within a few years later the paint was completely. * It was very meticulously finished, and I was unable to find any orange peel. At the very most the only spot that is not as highly polished as you could imagine is the little half inch strip of paint at the tops of the doors, and the quarters right below the glass. They have to be careful there because it is easy to buff through the crease. * On the trunk there are a couple of pin head size imperfections that are almost unnoticeable, but under bright florescent light they can be detected. * As the owner had explained the original body was purchased, and as he had anticipated very little work had been performed on it. The body was than taken down to bare metal, at that point there was very minor lower repairs. (bottom of the front fenders, and edge of doors,) This build was to be done to not necessarily make body laser straight, but to have a body that was left to be very much as it would have appeared when these cars where stamped out and built. They have very well reproduced that type of a body on this car. * All the fits around the doors, trunk, and hood appear fairly uniform as they would have been in the day. It is very much like a factory produced body. * All panels did verify as being metal, and a lot of the paint seemed to be in the 15-25 mils range for the most part. This would be thicker than a factory finish, but would be very much as you expect to see on most restored, or show type vehicles. * The bright work surrounding the windows which is mostly stainless, with some chrome, all seems to be secured well and fit in place as it should be. * The aluminum around the vinyl top all seems to be damage free. * The vent windows have nice shiny chrome, however the very small piece surrounding the frame itself has some very light pitting. * The chrome of the front and rear bumpers, and the bezels surrounding the taillights and headlights as well as the front Oldsmobile hood emblem all appear to be that of just a couple year old car. That also includes the fender side, fender rocket emblems, drivers rear view mirror, and door handles. * The 442 emblems that you will see on the sides, and the back are all in very good condition and do have good coloring. * All of the glass appears to be fairly clear, and not necessarily a newer glass. * I did not find any discoloring, delamination, bull-eyes, wiper marks, or cracks in any of the glass. * The driver rolling window (in the upper top half) does have half a dozen or so 3 to 4 inch light scratches in the upper portion. * The windshield appears to be a newer (LOF emblem) replacement. * The passenger rolling window is a Solex. * The remaining glass on the car looks to have the Safety Flo emblems, that are fairly faded. So the remained may be the original glass. * The left rear glass does not show any type of emblem. * The inside rear view mirror does have some damaging stain or breakdown of the outside edges of the mirror. * There is no spare, or mat in the trunk and was left in a standard gray material as it is not typically used. 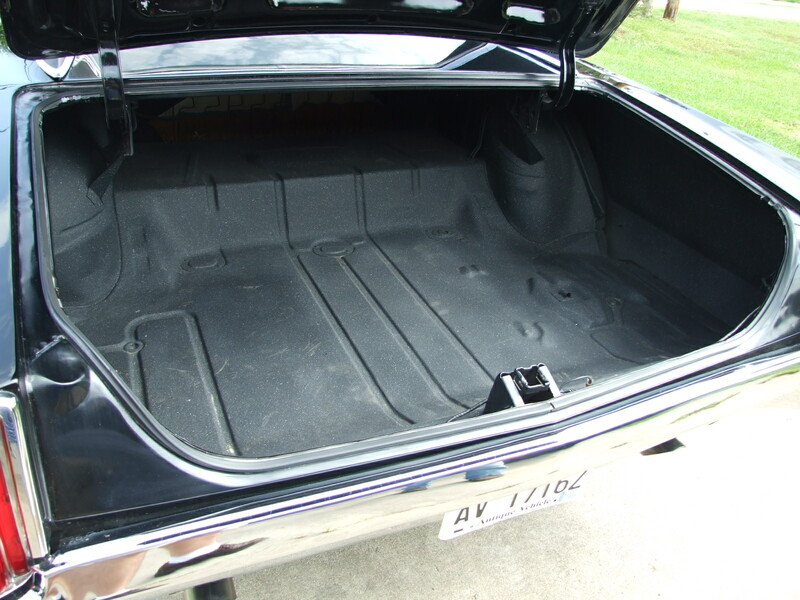 * The flooring in the trunk is in nice condition. 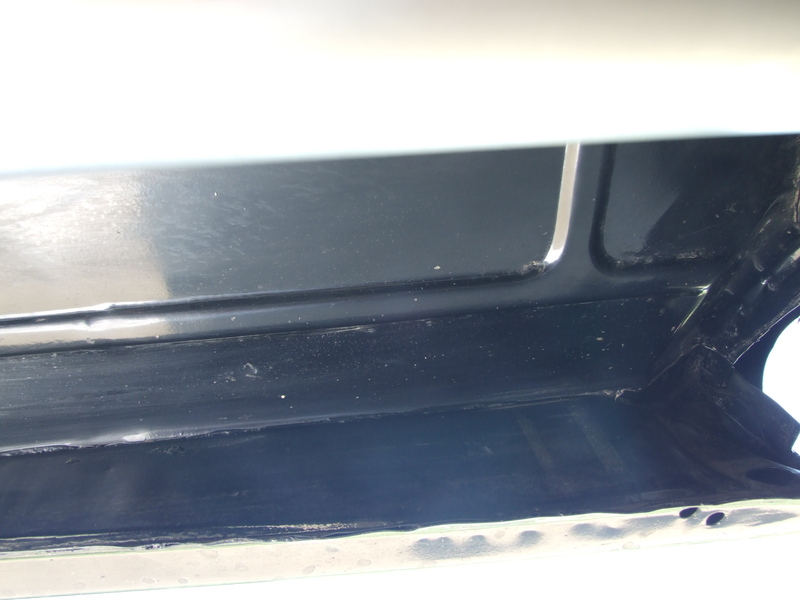 The owner indicated there is a little bit of a liquid tar product that he installed inside the quarters, doors, and above wheel wells. He had that product installed to protect them in the future. * The current owner said he is a fan of vinyl tops, and he did have that top installed during the build. * It seems to have good rich color, and certainly does not look like it has had much exposure at all to the outside elements. * The seams seem to be holding up well. * It does have some light bumps that can only be seen under bright florescent lighting in the two trailing sections going down between the side and rear windows. Owner indicated that the bumps are just small amounts of glue that did not completely smooth out when top was installed. * The interior seems to simulate very close to the original 442 design, with some enhancement and changes. * 4 addition gauges- The Hurst shifter, switch package in the dash where a radio could be installed, hydraulic clutch and gas pedal. * The headliner all has good deep rich black coloring, and all of the seams seem to be holding good in place. * The sun visors have a matching material, they are good and solid and adjust up and down. The passengers does include a vanity mirror. 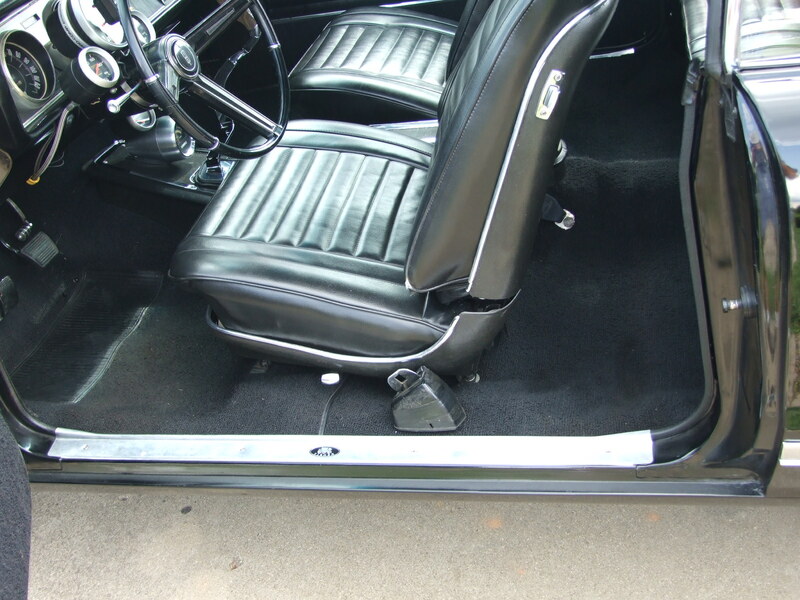 * The dash top is of rich black color, and has probably been restored at some point. * The side panel covering all seem to be of Oldsmobile design with the additional “Hurst” emblem installed in them. * The vinyl seat covering front and rear all looks fairly new, and shows very little wear. * Looking very close at the pictures, it will very well explain the interior. * There are seat belts in front, and rear of the vehicle. * Looking at the side walls, tires, and wheels themselves, we do not see any cracks or excessive outside exposure to the tires or wheels. 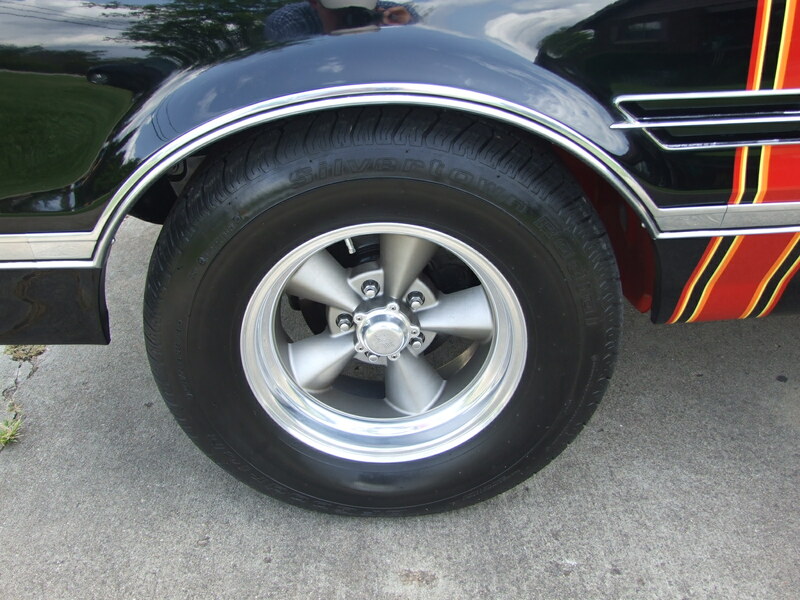 * Owner explained that he had custom ordered these wheels for his car, and had them specifically made as one offs. They look as close to new as you can imagine, and without damage to the 2 finishes of the wheels themselves. * With close inspection and looking at our list of components you will see that there is not a lot left that is stock under the hood, with the exception of the fire wall. Please see the listings components ext. for details, and pictures under the hood. You will see the mass amount of components that went into making this such a high powered, anything but stock vehicle. * Look carefully at the attention to detail at the installation performed, and components that went into the build of this vehicle. You can see that the frame, and the chassis where again all expertly painted black to start this build. 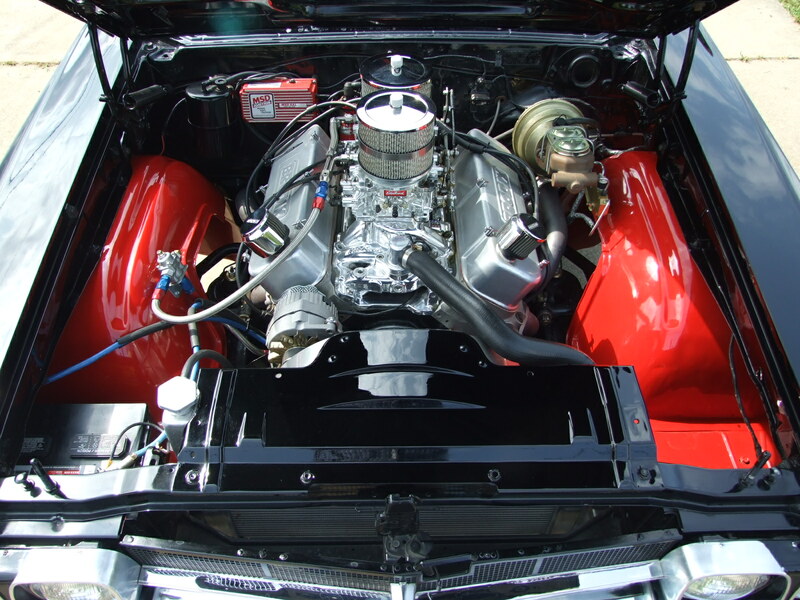 You can also see the quality that went into the installation of the hand built headers, and safety insulation. 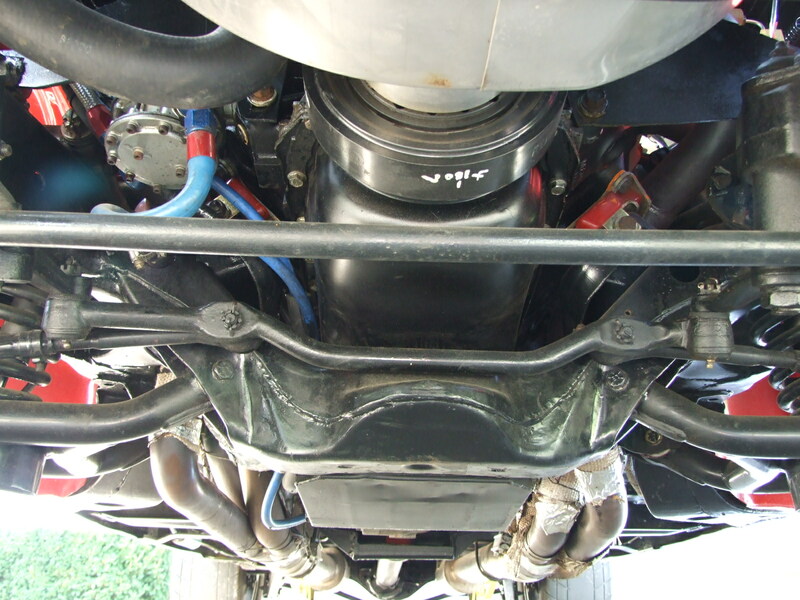 Not only the size and quality of this large stainless exhaust system, but you will see that they are mounted tightly to the vehicle, and the use of a flex system to allow the movement of the engine. * The right left front corner of the engine block there is an additional mount that was used to tie the engine down to keep it from breaking the motor mounts. The owner took Chad for approx. a 5 -10 miles drive, and Chad drove the vehicle back. It actually steered very nicely from slow to highway speeds. The manual steering gears offered a really nice feel of the road, and it stayed very true and handled very easily. Upon applying the brakes several times the Willwood stopped it very quickly and smoothly. We did not notice any type of pulling, or pulsation at all, it worked smooth and efficient in stopping this beast. The car starts very easily, and fired right up warm without even using the gas. Though it is a lot of power it can be controlled easily. The hydraulic clutch actually required very little travel, and was easier to engage and disengage than even typical mechanical clutch in most cars. Shifting in all four gears seems to work properly without any problems, and both up shifting in all four speeds seem to work correctly as it should. Check out the ride on our you-tube channel.